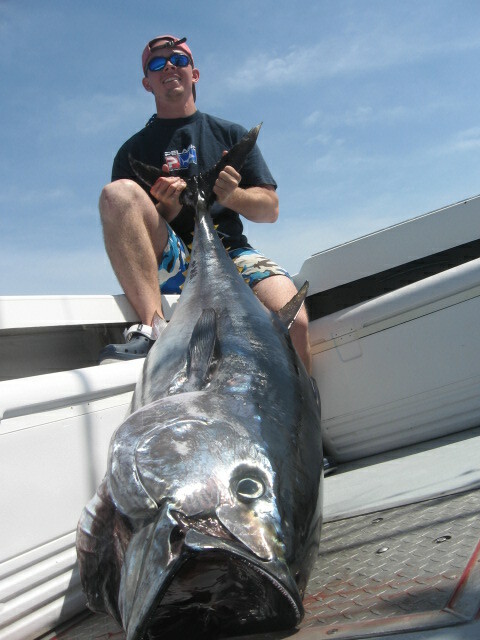 Tuna Fishing Charters in Massachusetts Catch Bluefin Tuna. One of the best fishing adventures in Massachusetts! 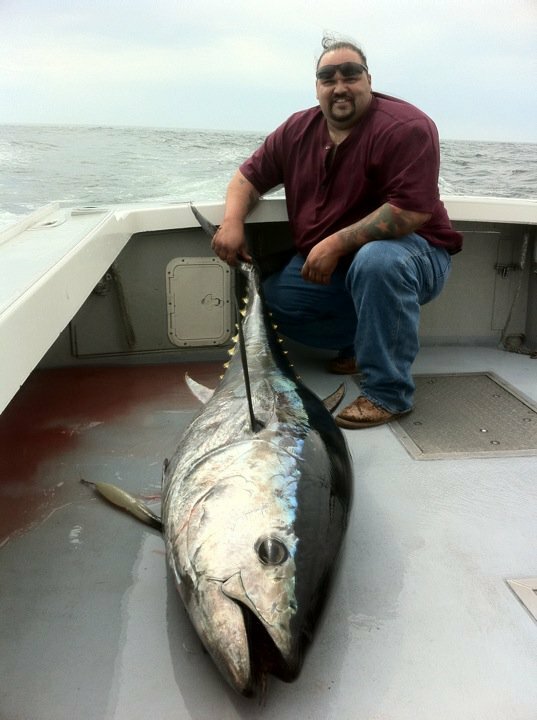 The boats from Mass Bay Guides have caught countless Bluefin Tuna and we are known for our ability to put you on the big one. 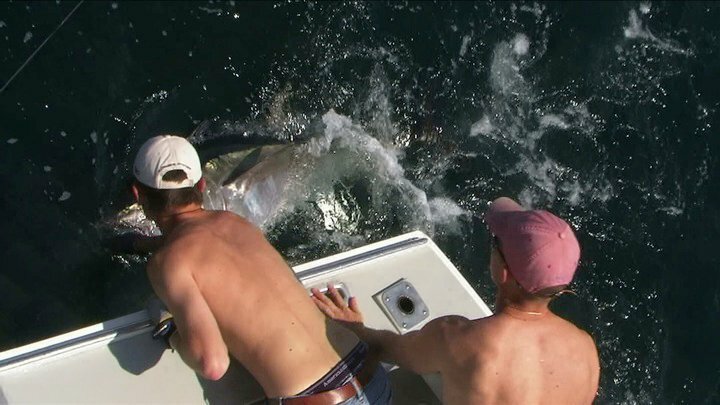 Tuna fishing is one of the more popular corporate fishing excursions and a favorite of those seeking the ultimate man against fish experience. We can take you charter fishing for tuna for a full day or a half day. Tuna fishing with Mass Bay Guides will take you to places like Stellwagen Bank, known worldwide for its large population of Bluefin Tuna. You could also go to the back side of Cape Cod and fish the sand shoals off Chatham for the big migrating schools of Giant tuna . 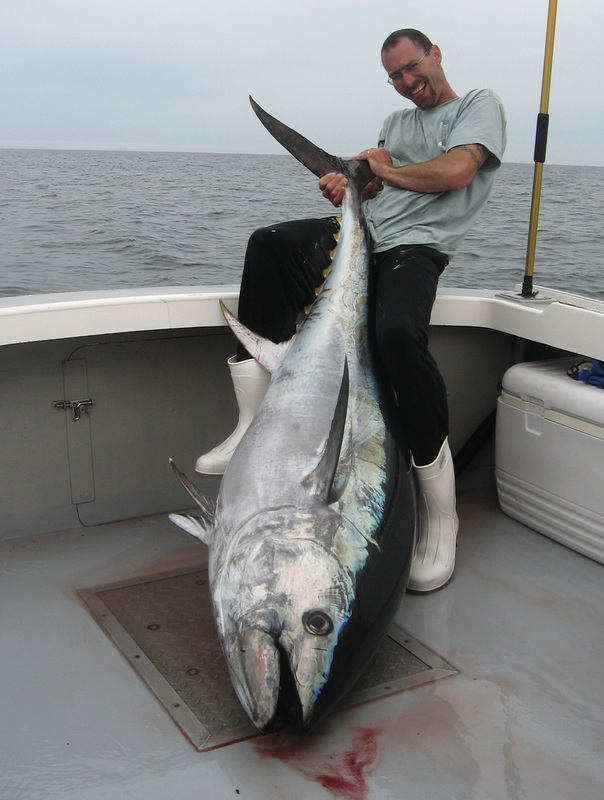 At times we catch bluefin tuna less than three miles from shore. The Tuna season is from early June to November. Your tuna charter fishing trip starts early by leaving the docks before sunrise.This is how we get our beautiful sunrise pictures. It is a short ride to the fishing grounds and you are usualy fishing within an hours travel. We troll or use live bait for school tuna and we use live bluefish or pogies on kites and balloons for giant bluefin tuna. Tuna reaching 1000 pounds are caught in Mass Bay every year. You can make money Tuna fishing with us for a full day private trip and you catch a giant tuna big enough to go to market.You get 1/3 of the profits from the tuna. Giant bluefin have been sold for over $100,000, although most sell for $1,000 to $10,000. The price of the fish is based on the fat content and quality of fish along with supply and demand. Tuna are here arround June 1st. Fish over 73" can go to market. 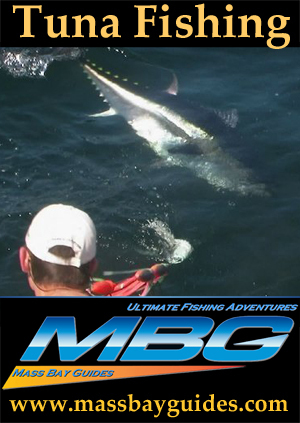 If you catch a giant while on a full day charter with Mass Bay Guides. you get 1/3 of the profits of these fish, potentialy worth thousands of dollars. Book a trip now and maybe you can get a Bonus Check. We also combine tuna fishing with other types of fishing Like cod or striped bass. Come tuna fishing with us for an adventure of a lifetime. We are available 7 Days a week. Make Reservations Now!